Every bike that Turramurra Cyclery sells is carefully built, checked and double checked in our workshop before it is handed over to you. Our mechanics are also on hand to assist you with emergency repairs, suspension servicing, general maintenance and comprehensive servicing, all to keep your bike running smoothly. Our team specialises in all types and brands of bicycles. Services range from simple brake and gear adjustments to Super Service and complete restorations. 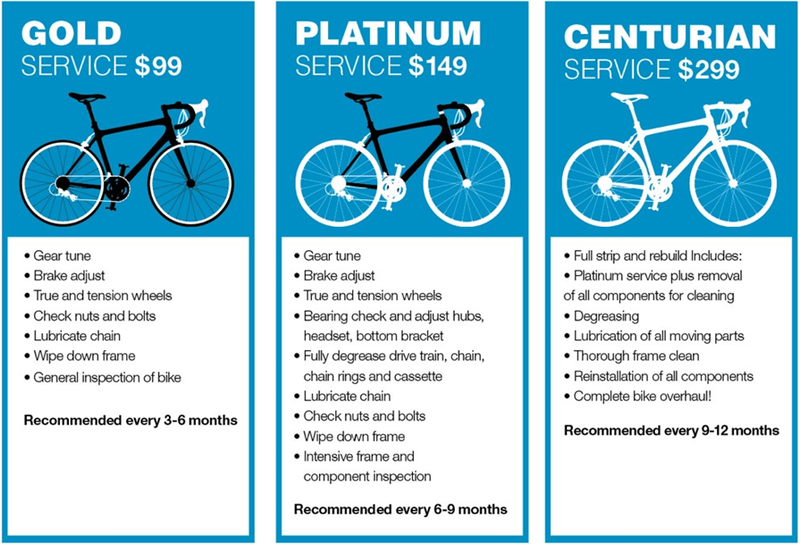 The Centurion Service ($299) is for road bikes only.